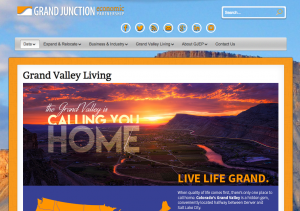 The Grand Junction Economic Partnership (GJEP) recently revealed an attractive new website to try to lure more educated people to relocate to Mesa County, but it avoids telling the whole story about what people face when they move here. One important thing people need to know when considering a move to the Grand Valley is that Mesa County is the hazardous waste dump capital of the state. Mesa County is home to the largest radioactive hazardous waste repository in the state, the Cheney Repository, a 94 acre industrial waste site completed in 1994. The Cheney site sits on the flanks of the scenic Grand Mesa, near another hazardous waste site the Mesa County Commissioners approved in 2012, Alanco Energy’s Deer Creek frackwater disposal site. 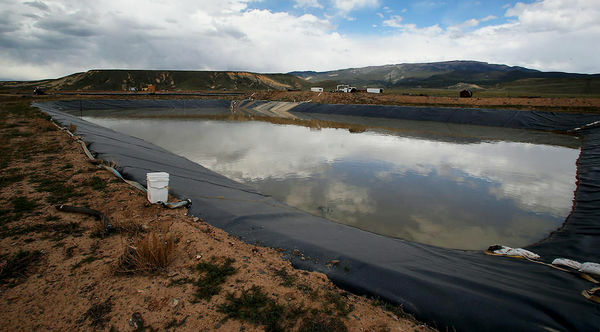 That facility currently consists of 8 acres of open evaporative ponds. Trucks of full of contaminated frackwater drive from rig sites for hundreds of miles around to dump their loads there, and the noxious odors emanating from the Deer Creek facility have been making Mesa County residents for miles around sick with headaches, vomiting, sore throats, bloody noses and respiratory illnesses. Despite years of pleading for help, the county commissioners have done nothing to help the situation. Alanco owns another 160 acres at the same site, and hopes to expand its stinky frackwater and other hazardous waste dump operations. Given the hearty embrace the Mesa County Commissioners have given past hazardous waste dumps, it’s likely to happen, too. 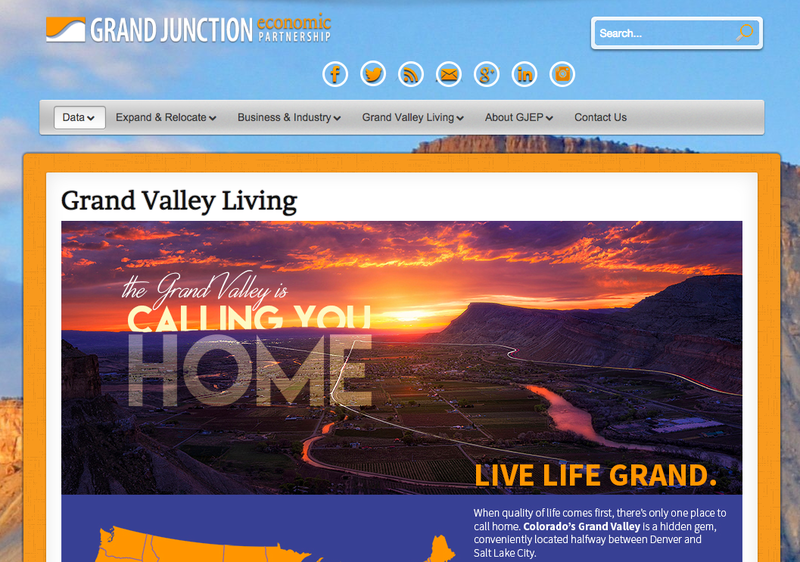 Screen shot of GJEP’s website luring people to relocate to the Grand Valley. Get the whole story from residents before you buy! There’s another scourge that people considering moving to the Grand Valley need to know about that can seriously affect their health: Open Burning. For five months of the year, Mesa County residents can burn almost anything they like on their property for the dirt cheap price of a burn permit, which cost only $5 to $15 for the entire season, depending on your location. Sure, there are rules on what people can legally burn — no tree branches greater than one inch in diameter, no household trash or tires — but there is little to no enforcement of open burning regulations, so basically it’s a free-for-all. This makes Open Burning Season one of the most fun things about living here for pyromaniacs. Builders burn construction debris, people burn entire tree stumps, household trash or old electronics if they like (usually after dark to avoid even the small chance they might get busted). The dense clouds of scorched, rubbery stench often pervade entire neighborhoods, especially in the evening and just after dark, forcing people to close their windows and doors in springtime, just when it’s usually the best time throw them open. It’s particularly bad if you get into a cloud of smoke while you’re riding your bike or out walking on a nice day. Rarely does anyone suffer any legal consequences for violating open burning rules. 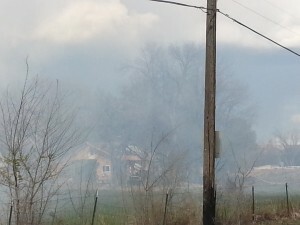 Open burning also leads to frequent out-of-control fires that endanger and damage adjacent properties. Potential relocatees to Mesa County also aren’t told that “true” farmers can burn year-round without limits, and they do. So if you are lured in by GJEP’s beautiful new website and are thinking of moving to the Grand Valley, you are welcome to come have a look. We appreciate new people moving to our area and broadening our base of diversity. 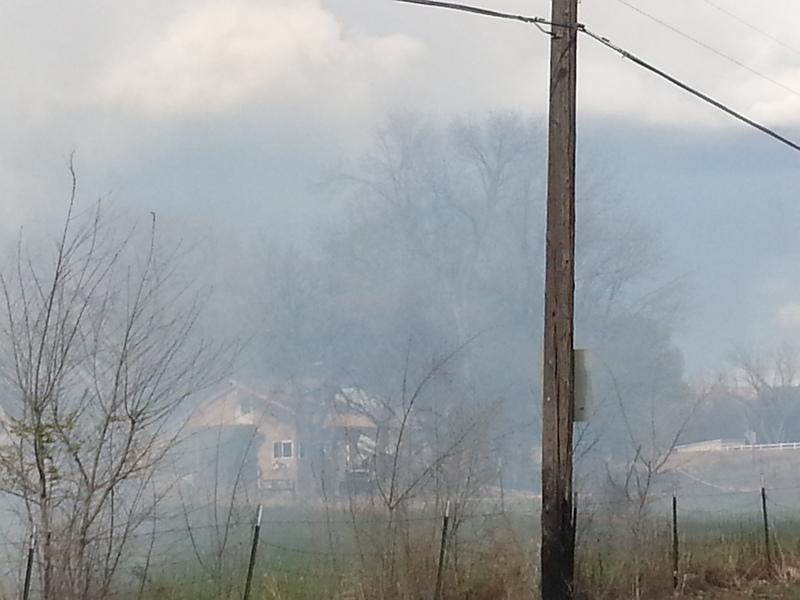 But if you see a nice house on the outskirts of town in what looks like a peaceful, semi-rural area, beware. If you should buy it, the probability is high you’ll be moving into an open burning zone, where clouds of stinky smoke can waft over your property, potentially for months each year, and you’ll have no recourse for this. If you suffer even a slight component of heart or respiratory disease, or your children have asthma, be especially careful of where you buy. Relocating to a nice-looking open burn zone in the Grand Valley could greatly increase your medical bills as well as your personal discomfort, and could even potentially be deadly, depending on the extent of your health status. Thanks for addressing this Anne. When I saw the recent article in the Sentinel my first thought was how difficult it is for many young families to purchase a home due to low pay. I truly believe that the high rate of suicide of middle aged men in Western Colorado is directly related to this as well. Too many simply struggle to get by. This state guarantees open burning. Many central and western states now have total moratoriums on open agricultural burning or have passed statutes to limit the dates for burning. Enforcement is the supportive key. People have to ready to tell their friends and neighbors not to burn if they are doing so when not allowed. This requires the state to pass a state-wide law. If GJEP is REALLY serious about “development” they need to get involved. This is one the two reasons why we had to leave the Grand Valley. It would infuriate me because, take a beautiful day in the spring or fall with no wind and everybody and their brothers would start burning. I had to keep my rambunctious 5 yr old, who was asthmatic, indoors. It was as if I had a campfire in my front yard. I was so pissed off, I called the county and spoke with someone for an hour. To even top it off, my son’s allergist at the time, Dr. Scott, denied the fact (publicly), there was increase systems for individuals who had asthma, COPD, or cardiac issues. Of course, after that statement, we stopped seeing him. The schools were the second reason why we had to leave the region. We lived near Appleton Elementary school and the area needed another middle school and high school. Heaven forbid if any bond would pass in the area. My husband and I are nurses. We absolutely love Western Colorado but when it came to my children, I felt like they were second class, no consideration for their health or their education.